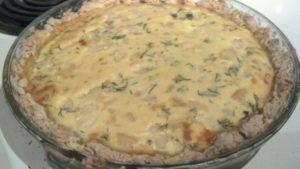 Experiences with cooking, including recipes. I successfully made cookies for the first time last week. Every other attempt failed miserably, to the point where I’d given up. Cookies are supposed to be easy, but apparently not for me. I’d been invited to an event where cookies were expected, so I gave it a go. I found this recipe in an old Better Homes and Gardens cookbook called Cookies for Kids . It has photos of kids aged 5 to 10 years old making cookies in it. I figured this would be hard for me to screw up. I doubled the recipe from the book though. I think it worked out better because there was more stuff for the mixer to work with and so it all got mixed better. Directions below are how I did it, not a copy from the book. Stuff I need to make sure I have cleaned and available. Gallery of photos at most steps taken below. Forgot to take photos of the finished cookies, which were tasty, by the way. 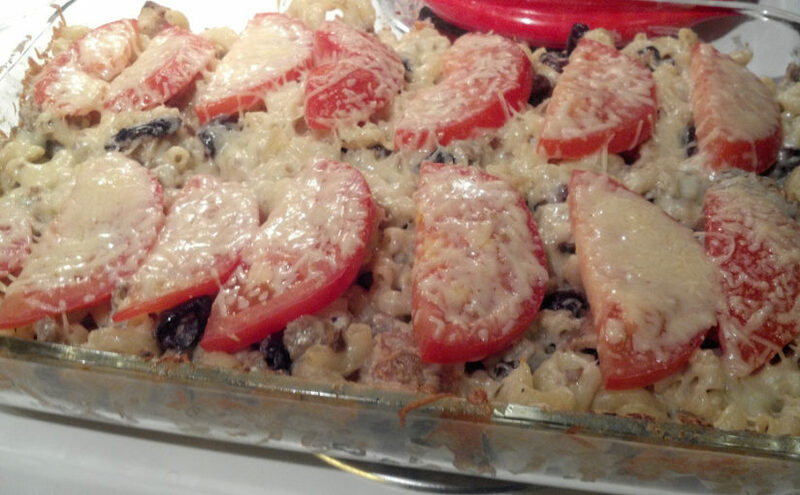 I have no idea if this recipe for Tuscan Mac ‘N’ Cheese has anything at all to do with Tuscany. It’s the name the Big Book of Casseroles gave the recipe. However, it is now my favorite Mac and Cheese. It was that good. The original recipe called for half the sausage, but I forgot how much I needed when I went sausage. It also used real milk, which causes me issues. As noted, this was the best mac and cheese I’ve ever made. I love kalamata olives, which is kinda the key ingredient here. But mozzarella instead of cheddar, tomatoes on top, etc., it all makes for excellent comfort food. This is another of the pies I made for Pie Night and it was quite the hit. This one had no alcohol in the pie itself, and just a couple tablespoons in the sauce for it. The recipe was adapted from a recipe I found at the Driscoll’s berries web page. The gluten-free shortbread cookies had a lot of moisture in them, and didn’t work out quite like the original recipe called for. My first attempt at the crust from this turned into a cake. In my second attempt, I substituted gluten free graham crackers for some of the shortbread cookies, and that worked out much better. The original recipe also called for sweetened cream of coconut. I was unable to find this product. Instead, I used unsweetened cream of coconut. Then I looked up online how much sugar was in the sweetened version of the product, subtracted how much was in the unsweetened version, and added the difference. However, I didn’t write down the amount. I think it was 3 tablespoons but I could be way off. Serve pie with raspberry-tequila drizzle. 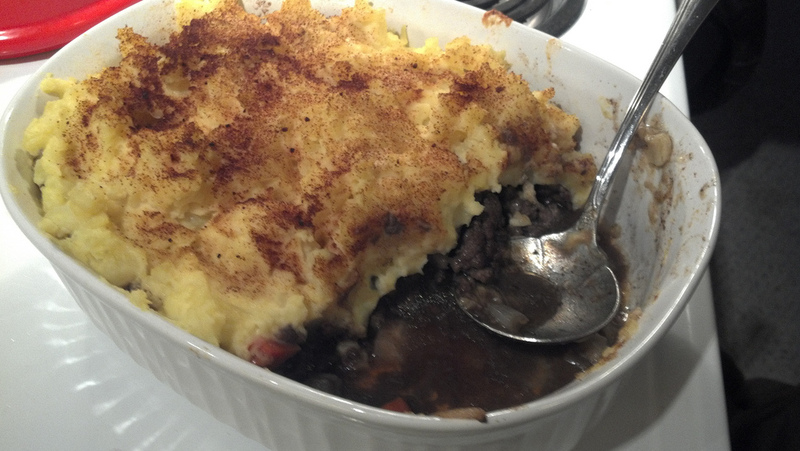 This is the recipe for the Shepherd’s Pie I made for Pie Night. I love me a good shepherd’s pie, but I don’t think I’ve actually ever made it before. I liked this so much I made it again today. It is from Rachel Ray. This pie turned out quite well. Everyone at Pie Night loved it. The caramel was a bit boozier than I thought it would be, but I coulda been doing it wrong. 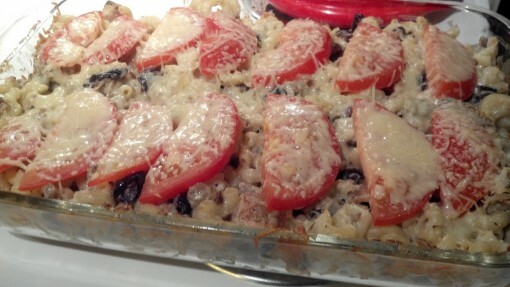 Recipe comes from Dennis Wilkinson. As is normal, I’ve modified it slightly. Pretty standard crust, except there’s a bit more liquid than I normally would use for one crust. The caramel was boozier than I expected. Perhaps sticking to the original amount mighta made it more acceptable to me, as I don’t drink or eat anything with more than a trace of alcohol left in it. I kinda expected it to have cooked off considering how long it was boiling. At this point, I had some leftover chocolate, though not a lot. I really should have used a deep dish pie plate. C’est la vie. Click through to the original recipe to see a lovely photo. I didn’t get a good photo of my edition of the pie. This is the recipe I used for the Mushroom Pie at Pie Night yesterday. I’ve made it once before, in about 2006 or 2007. 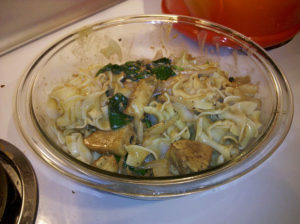 In the original mushroom pie recipe on AllRecipes.com, the mushroom mixture is the stuffing for a puff pastry. 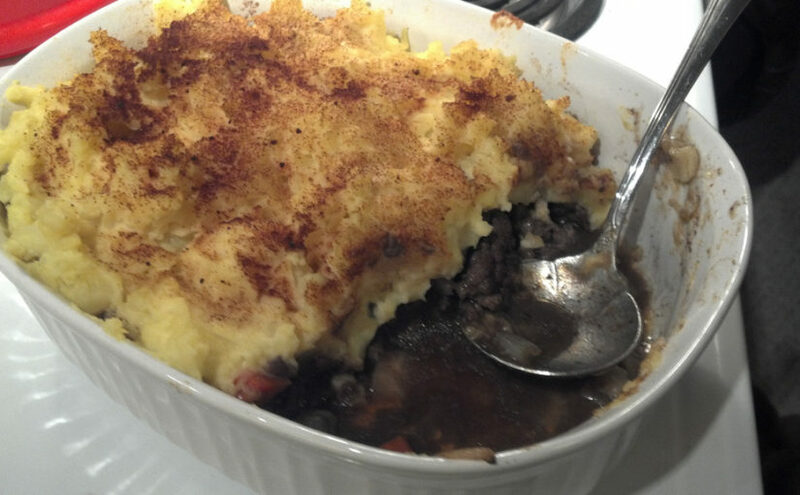 The exact same stuff made great filling for a traditional pie. I liked curry but have never tried actually cooking a curry dish. This was pretty easy and I had most of the ingredients. Next time I’ll probably make it with rice instead of noodles though. Basic recipe comes from Cooking Light Annual Recipes 2001 . Prepare noodles according to package directions, but without salt. The French Leek Pie I made for Pie Night was gone in 11 minutes. It was super easy to make. 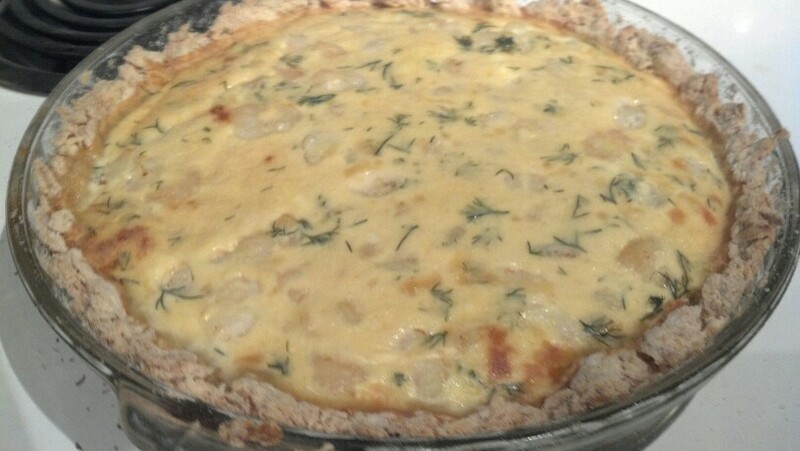 I used the French Leek Pie recipe at allrecipes.com, with some minor adaptations.